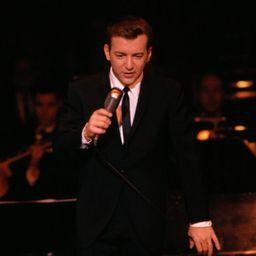 You ever hear the phrase “Living on borrowed time?” So did Bobby Darin. Grew up rough in the Bronx. A baby with an MIA daddy in a cardboard box for a cradle, diagnosed with a heart condition at 8. They told him he would be lucky to clear 16, he died at 37. Not an old man by any stretch, but he packed a lot of living in that mortal sandwich. Movies, TV, hit records, married to Sandra Dee, America’s sweetheart at the height of her beauty. No time to lose.The thing about Bobby was that he could rock, he could swing, and he could croon, sometimes all at once. All of it concentrated into being the best Nightclub Performer he could be. Before it could’ve possibly been considered ironic, Bobby Darin was a lounge singer. By choice, and very proud of it. He started in clubs, went around the world and did everything else, then ended up back in the clubs. He loved the immediacy of it, he loved being a song and dance man.This clip is one of my most favorite things on the planet. This was from his last filmed performance. He went in for heart surgery shortly after this and never came back. He could barely walk, talk, or function as this point. He was breathing through oxygen tanks. Exhausted. But he got up there and he did this. Watch at 4:24 as he goes from clowning around to dead serious when the groove changes directions. Always gives me chills.